There are many things that make the hair stand up on the back of our necks. Sometimes is a simple glimpse out of the corner of our eye. Was there something there or was our mind just playing a trick on us? Every so often, the shadows are so much scarier than the monsters. 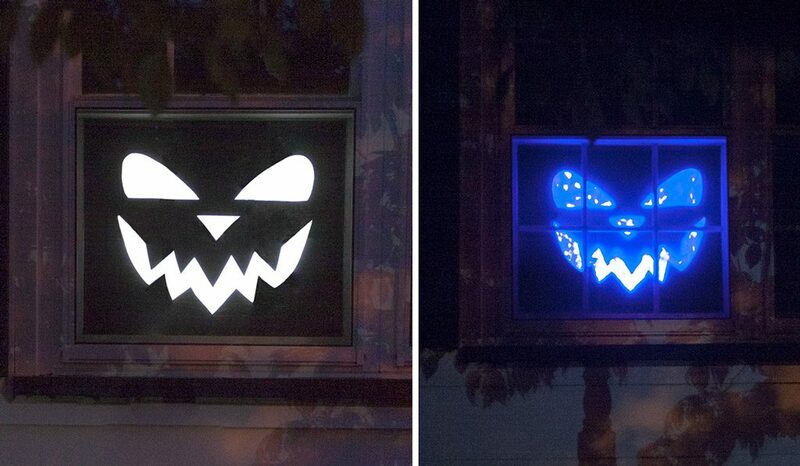 That’s why, when it comes to your spooky Halloween decorations, less is more. 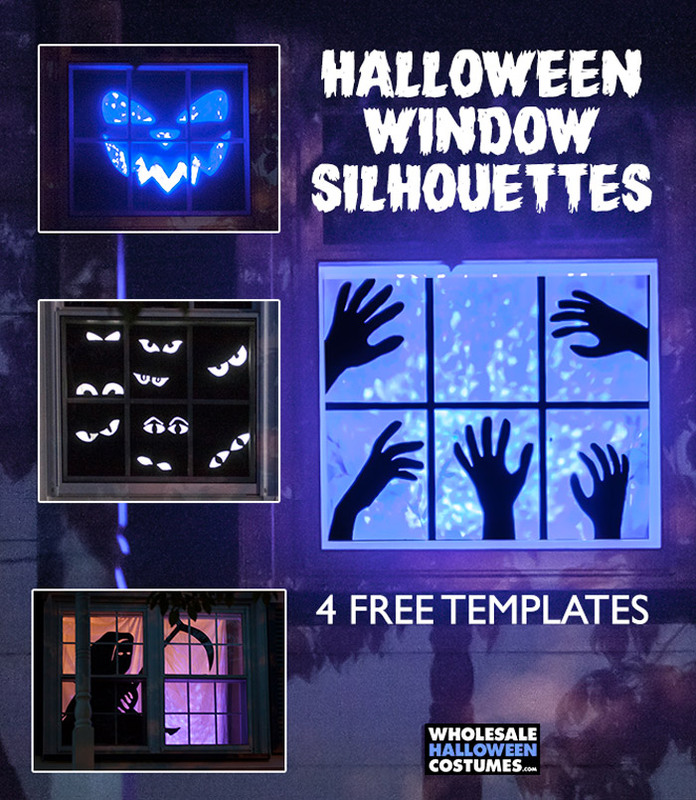 Make everyone that passes by your home do a double take this Halloween season with the help of these window silhouettes. From staring eyes and reaching hands to the ominous reaper and smirking face, you can create a spooky scene in no time. 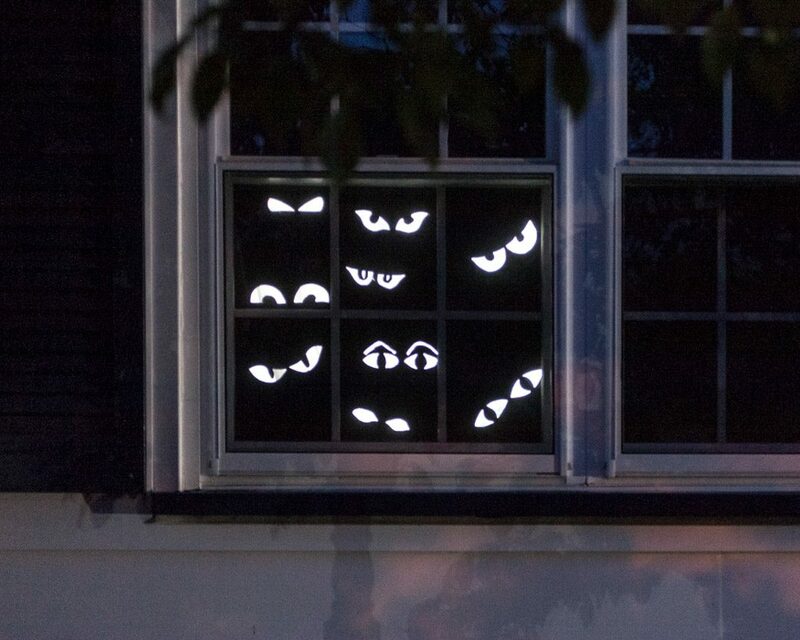 We know a lot of people are short on time and prefer to hit the internet for their Halloween Decorations, but this project can be that little extra effort to help you stand out from the neighbors. Window decorations are the perfect way to get in the spirit whether you’re allowed to decorate the outside of your house or not. 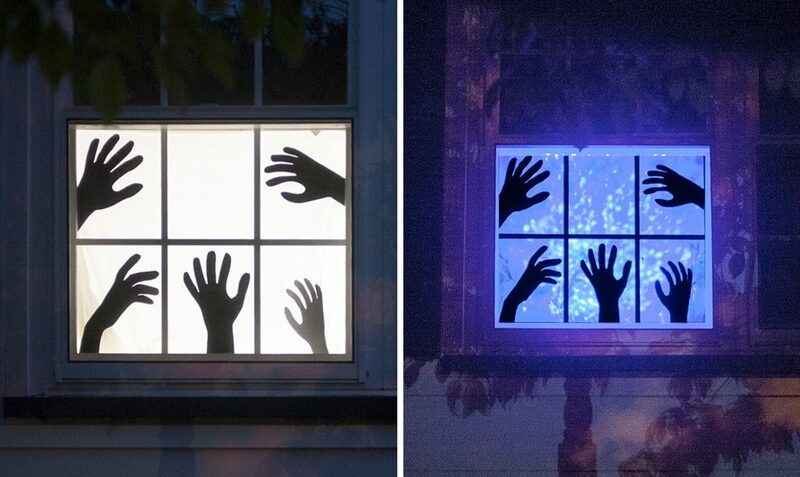 With a few supplies, you’ll transform your windows. 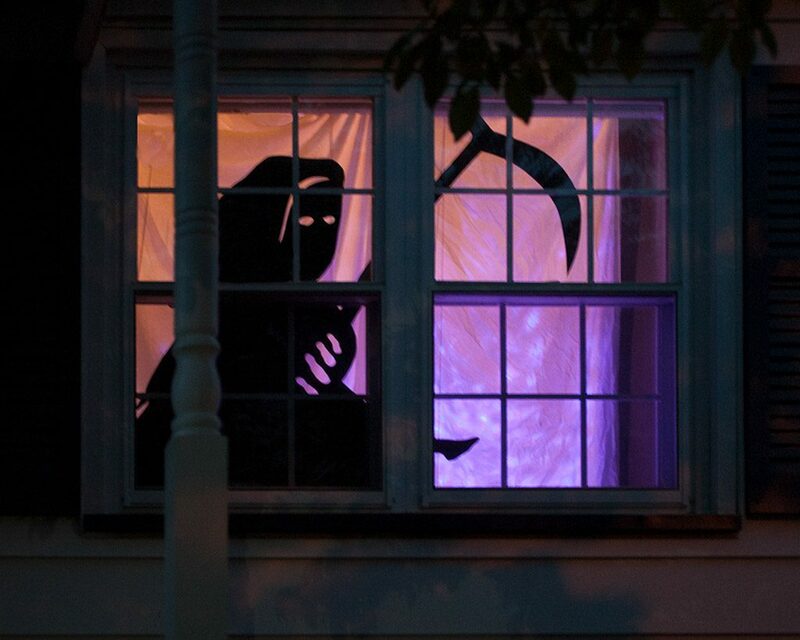 Add a bit of creepy drama by using our colorful LED projector lights inside to show off these ominous silhouettes. 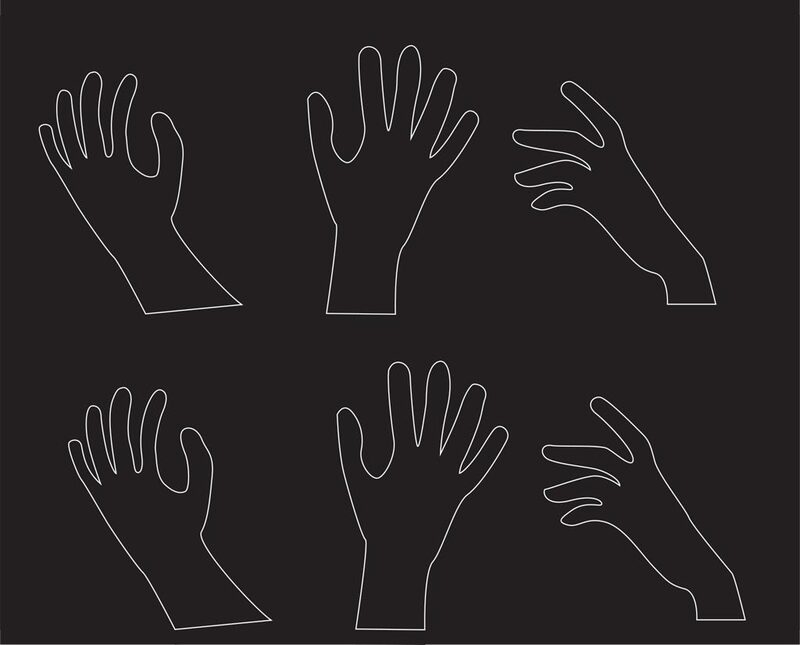 Following along with these steps to bring these scary silhouettes to life this Halloween. 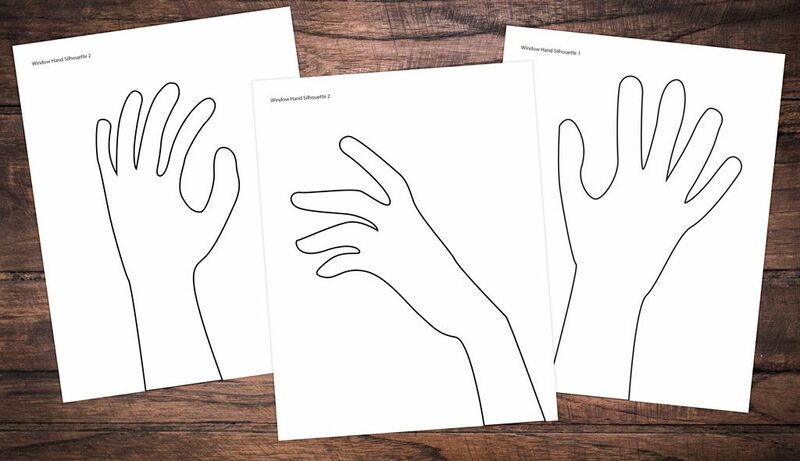 Cut out the hands. Arrange hands on the window using clear or double sided tape. If your posterboard is black on both sides, you can flip the hands to add more variety. 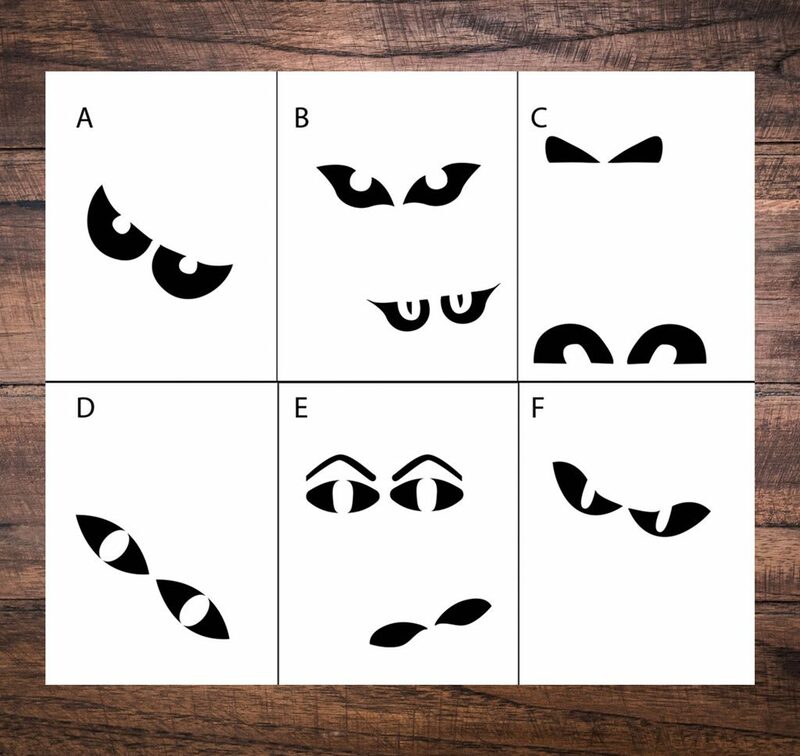 Print and assemble the template pieces as shown below. 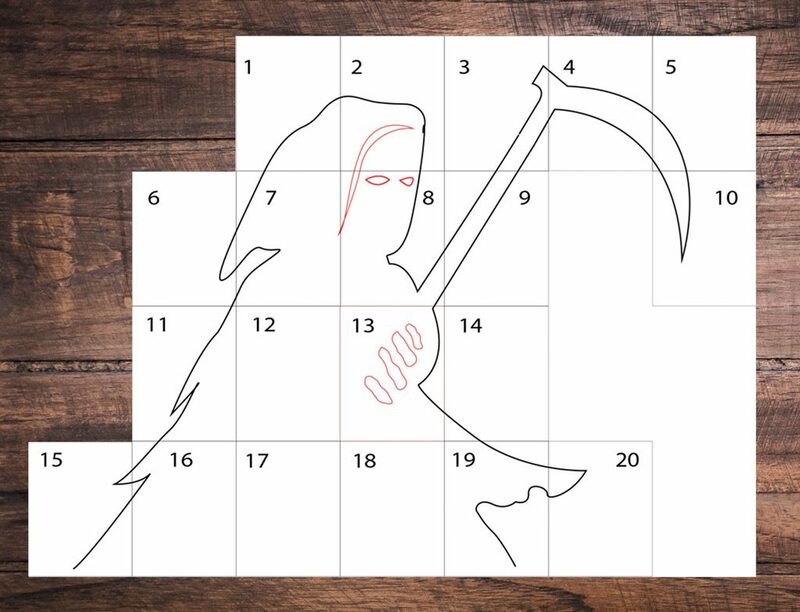 Once assembled, cut out the reaper including the parts shown in red. Tape enough pieces of black posterboard together to create 1 large sheet (at least 60” x 44”). 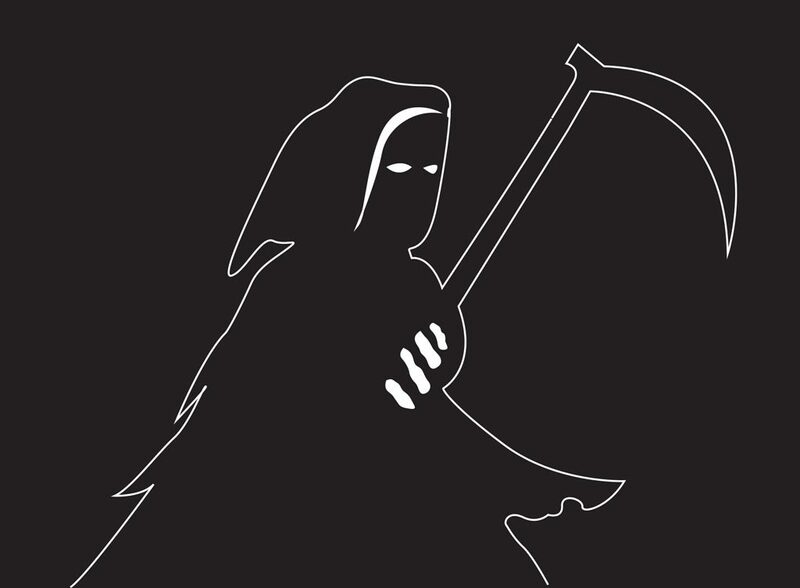 Trace the reaper on the black poster board. Cut out the reaper, including the inside of the hood, eyes and fingers. Print and tape the template together over a 22”x28” black posterboard. Cut out the eyes using a craft knife. 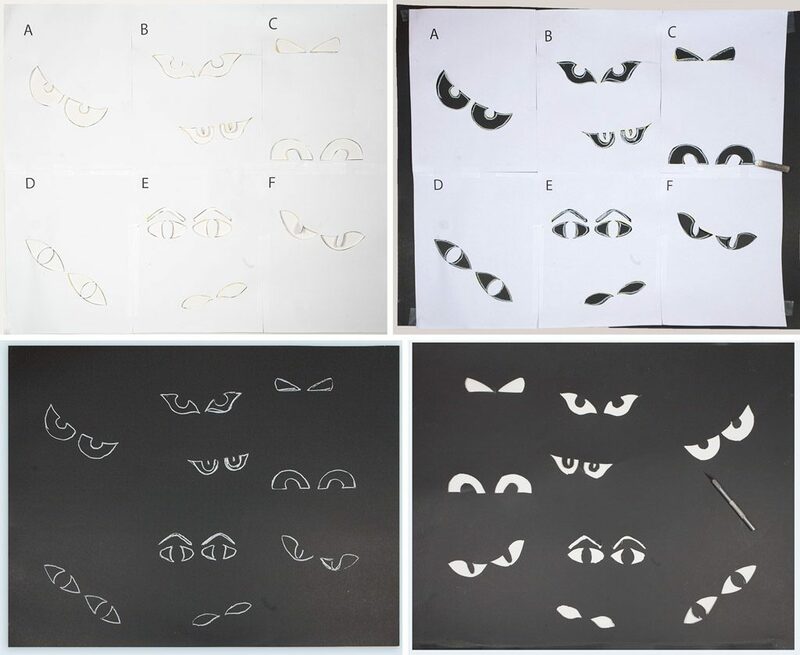 Trace the eyes onto the black posterboard and cut them out with a craft knife. 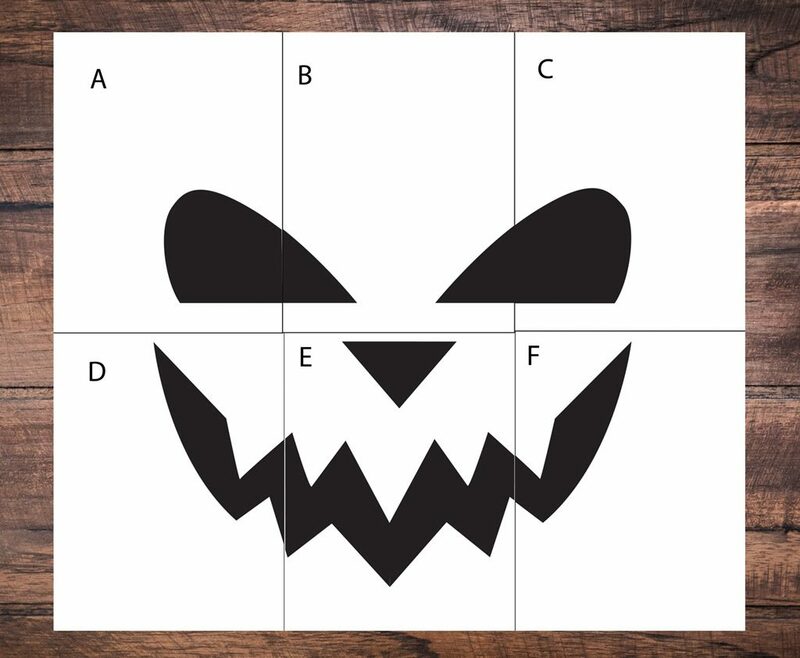 Print and tape the template pieces together over a 22”x28” black posterboard. Cut out the face using a craft knife. Trace the face onto the black posterboard and cut out with a craft knife. There’s a lot of fear around the things we can’t see. 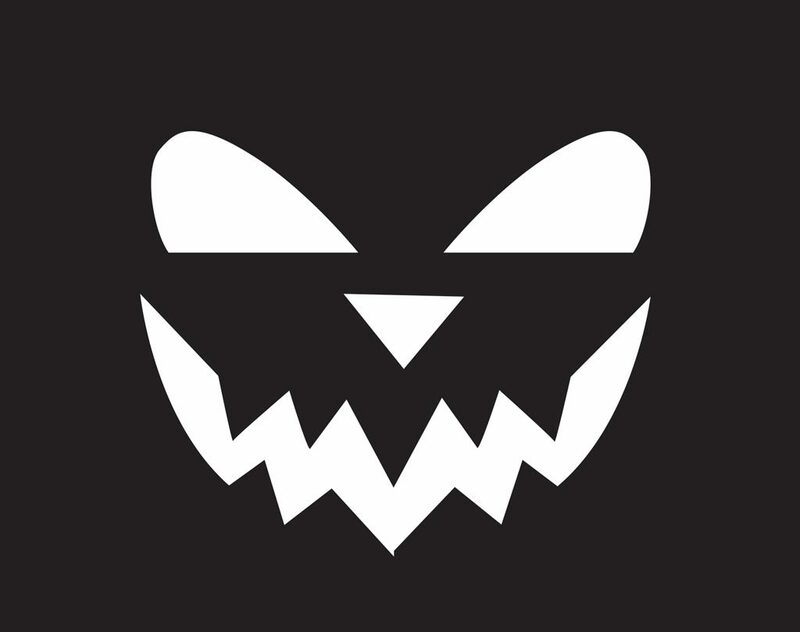 Give your neighbors a glimpse at what’s lurking in the darkness this Halloween! Don’t leave the rest of your house bare. 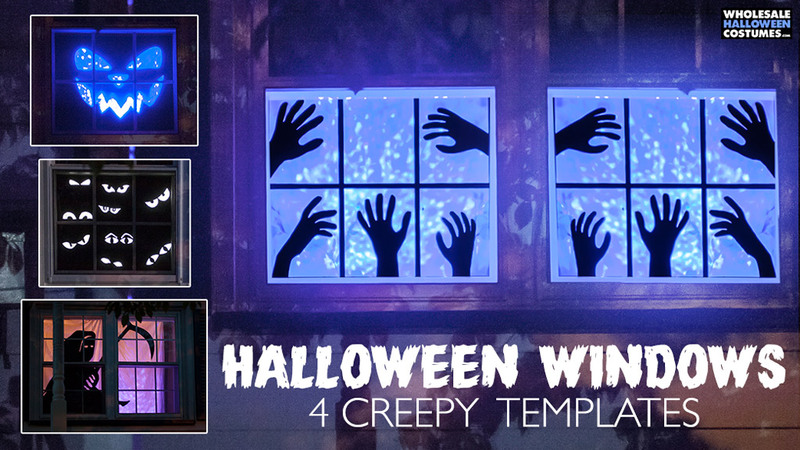 Get all the Halloween Decorations you need to keep the rest of the neighborhood spooked! Connect with us on Facebook, Twitter, Instagram and Pinterest!